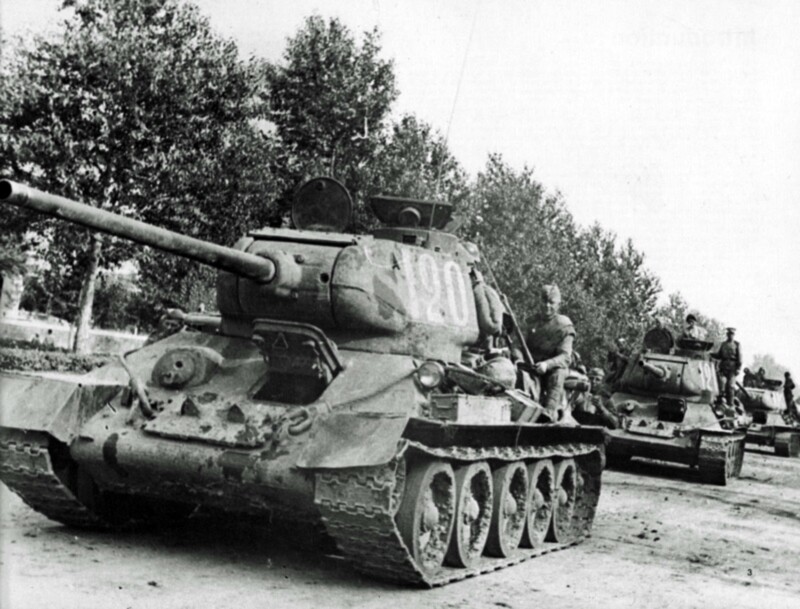 Convoy of Soviet medium tanks model T-34-85. T-34-85 – the military designation of the latest modification of the Soviet medium tank T-34 with a gun of 85-mm caliber. Adopted for service by the Red Army in January 23, 1944. Designed on the basis of a serial tank T-34 model 1942. The installation of 85-mm cannon and structural improvements significantly increased the combat effectiveness of the T-34-85 tank in comparison with the T-34-76.